We <3 RP has gone cyber! 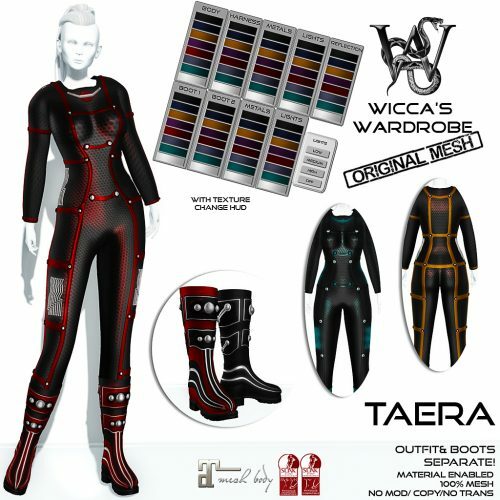 We are proud to present Taera, complete with boots for Maitreya and Slink (Hourglass and Physique). The outfit and boots can be worn separately, but they are sold together. Taera has a massive HUD with THREE sides! Yes, THREE sides! And that isn’t all. We all love materials right? Items look so vivid when materials are enabled. With our special three-sided HUD we have included a special materials feature. Not only do you have the option of using materials, you can COLOR the materials effect, giving your Taera a cool shine in certain windlights. 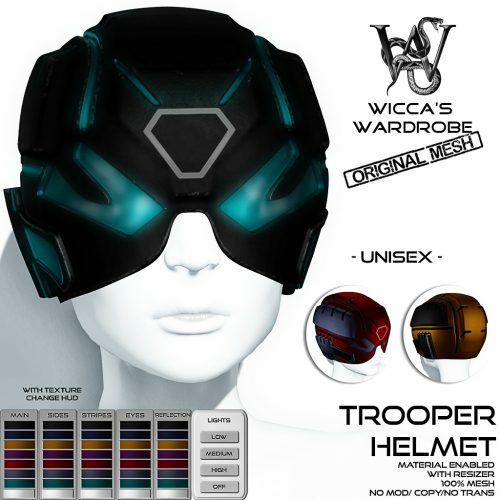 We have also created the Trooper Helmet. 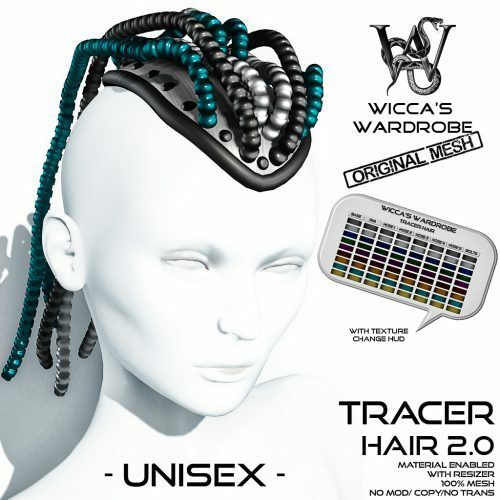 It is unisex and has all the same amazing features as Taera, so it makes a perfect compliment. 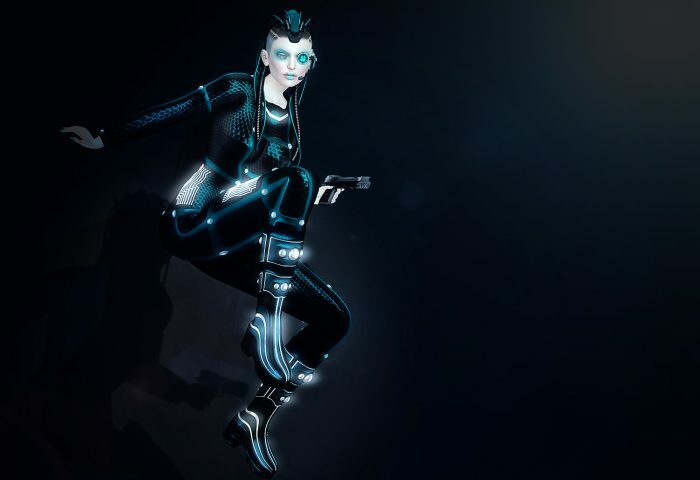 To go one cyber-step further, we have updated our Tracer Hair and bring you Tracer Hair 2.0! We updated it to include materials and perfectly match Taera as well. All 3 creations are 25% off for We♥RP @ the event location ONLY! This entry was posted in Fashion and tagged 3D, 3D people, Art, avatar, Blog, Blogger, Clothing, Couture, cyber, cyber punk, cyberpunk, Fashion, Fashion in Pixels, fashion poses, Female Clothing, female wear, Futuristic, Hair, High Fashion, Jewelry, meta virtual, Model, model pose, Model Poses, Modeling, Modeling pose, Modeling Poses, New, New Release, New Releases, News, original mesh, photographer, Pose, sci fi, science fiction, Second Life, Secondlife, SL, SL Clothing, SL Fashion, SL Style, Style, Virtual World, We ♥ RP, we llove rp, We love Role Play, we love roleplay, We<3RP, We♥RP, Wicca MEriln, Wicca Merlin, Wicca's Wardrobe, WLRP, woman. Bookmark the permalink.